IBPS CWE Probationary Officers Management Trainees: IBPS PO 2018 Official Notification (for the vacancies of 2019-20) is finally out on the official website of Institute of Banking Personnel Selection (IBPS) i.e., ibps.in. 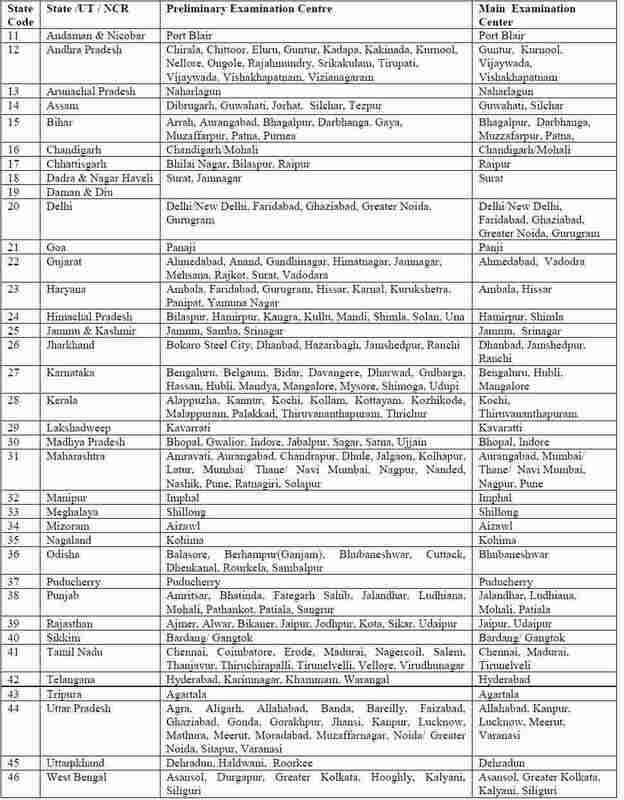 This year there are 4000+ vacancies for PO/MT (Probationary Officer/Management Trainee) posts. The recruitment will be through Common Recruitment Process VIII (CRP PO/ MT - VIII). Online registration for selection of Probationary Officer/ Management Trainee posts will start from 14th August 2018. The last date to apply online is 4th September 2018. Complete IBPS PO Notification’s PDF is also available here for download in PDF format at the end of this article. Exam dates for IBPS PO Prelims 2018 are 13th, 14th, 20th and 21st October. Whereas, exam dates for IBPS PO Mains 2018 is 18th November. Interview will be conducted in the month of January or February 2019. Candidates should check eligibility criteria, educational qualification and other details before applying for IBPS PO 2018. Official IBPS PO Recruitment notification contains complete details about the IBPS PO 2018 Recruitment process. Besides important details like Syllabus, Exam Pattern, Number of Vacancies etc., it also contains list of important documents which is to be produced at the time of document verification (DV). IBPS PO 2018 Official Recruitment Notification PDF will be helpful until the entire IBPS PO 2018 recruitment process is over. The link to download IBPS PO 2018 Official Recruitment Notification PDF is given at the end of this article. Candidates preparing for IBPS PO 2018 Recruitment exams should learn the complete schedule. This schedule is tentative and IBPS can make the necessary changes (if necessary). Before applying for IBPS CRP PO/ MT – VIII or IBPS CWE PO/ MT – VIII, candidates must ensure that they fulfil the eligibility criteria. A candidate must have been born not earlier than 02.08.1988 and not later than 01.08.1998 (both dates inclusive). (i) The relaxation in upper age limit to SC/ST/OBC candidates is allowed on cumulative basis with only one of the remaining categories for which age relaxation is permitted as mentioned above in Point No. II (3) to II (6). (iii) Candidates seeking age relaxation will be required to submit necessary certificate(s) in original/ along with photocopies at the time of Interview and at any subsequent stage of the recruitment process as required by IBPS/ Participating Organisation(s). (iv) In case of an Ex-servicemen who has once joined in a Govt. job on the civil side after availing the benefits given to him as an Ex-servicemen for his re-employment, his Ex-servicemen status for the purpose of re-employment in Government ceases. There is no reservation for Ex-servicemen in Officers’ Cadre. A Degree (Graduation) in any discipline from a University recognised by the government of India or any equivalent qualification recognized as such by the Central Government. (1) All the educational qualifications mentioned should be from a University/ Institution/ Board recognised by Govt. Of India/ approved by Govt. Regulatory Bodies and the final result should have been declared on or before 04.09.2018. Proper document from Board / University for having declared the result on or before 04.09.2018 has to be submitted at the time of interview. The date of passing the eligibility examination will be the date appearing on the mark-sheet or provisional certificate issued by University / Institute. In case the result of a particular examination is posted on the website of the University / Institute and web based certificate is issued then proper document/certificate in original issued and signed by the appropriate authority of the University / Institute indicating the date of passing properly mentioned thereon will be reckoned for verification and further process. (3) Calculation of Percentage: The percentage marks shall be arrived at by dividing the total marks obtained by the candidate in all the subjects in all semester(s)/year(s) by aggregate maximum marks (in all the subjects irrespective of honours / optional / additional optional subject, if any) multiplied by 100. This will be applicable for those Universities also where Class / Grade is decided on basis of Honours marks only. Eligible candidates can opt for Pre-exam training at time of registration. All eligible candidates who opt for and wish to avail of Pre-Examination Training should fill in the relevant column in the On-Line Application. Pre-Examination Training may be arranged by the Nodal Banks/ Participating Organisations to a limited number of candidates belonging to Scheduled Caste/ Scheduled Tribes/ Minority Communities at certain centres viz. Agartala, Agra, Ahmedabad, Allahabad, Amritsar, Aurangabad, Balasore, Behrampur (Ganjam), Bengaluru, Bhopal, Bhubaneshwar, Chandigarh, Chennai, Coimbatore, Dehradun, Dhanbad, Gorakhpur, Gulbarga, Guwahati, Hubli, Hyderabad, Indore, Jabalpur, Jaipur, Jammu, Jodhpur, Kanpur, Karnal, Kavaratti, Kochi, Kolkata, Lucknow, Ludhiana, Madurai, Mangalore, Mumbai, Muzaffarpur, Mysore, Nagpur, New Delhi, Panaji (Goa), Patiala, Patna, Port Blair, Puducherry, Pune, Raipur, Rajkot, Ranchi, Rohtak, Sambalpur, Shimla, Shillong, Siliguri, Thiruchirapalli, Thiruvananthapuram, Tirupati, Vadodara, Varanasi, Vijaywada and Vishakhapatnam. (i) IBPS PO Recruitment exam will be conducted online in venues across many centres in India. The basic IBPS PO Salary structure is: 23700 - (980 x 7) - 30560 - (1145 x 2) - 32850 - (1310 x 7) – 42020. So, Rs. 23, 700 is the basic pay of Bank PO as applicable on 1st January 2016. Basic pay is more or less is the same most of the public sector banks. Besides basic salary, IBPS PO also entitled to receive Dearness Allowance (DA), Special Allowance, House Rent Allowance, and City Compensatory Allowance. Some added Perks for an IBPS Probationary Officer are Leased Accommodation, Traveling Allowance, Newspaper Reimbursement, Medical Aid. IBPS Bank PO officer might also get benefits under New Pension Scheme. Complete step by step process to fill IBPS PO 2018 online application form is available in IBPS PO 2018 Notification PDF. Before applying online, candidates must have scanned copies of photograph, signature, left thumb impression and a handwritten declaration. Candidates should make sure that they commit mistakes while applying online for IBPS PO 2018 otherwise their candidature can be cancelled anytime during the entire recruitment process. The result of IBPS PO 2018 Prelims will be announced in the month of October/November 2018, whereas, the result of IBPS 2018 PO Mains will be announced in the month of November 2018. Interview will be conducted in the month of January/February 2019 and provisional allotment will be done in the month of April 2019. • The corrected scores obtained by each of the candidates in different sessions (if held) will be normalized using equi-percentile method.